Petaling Jaya , September 14 , 2017 - Beam artistes , a premium artiste management company in Singapore and Universal Music Malaysia , the local arm of Universal Music Group ( UMG ) , the world leader in music based entertainment . 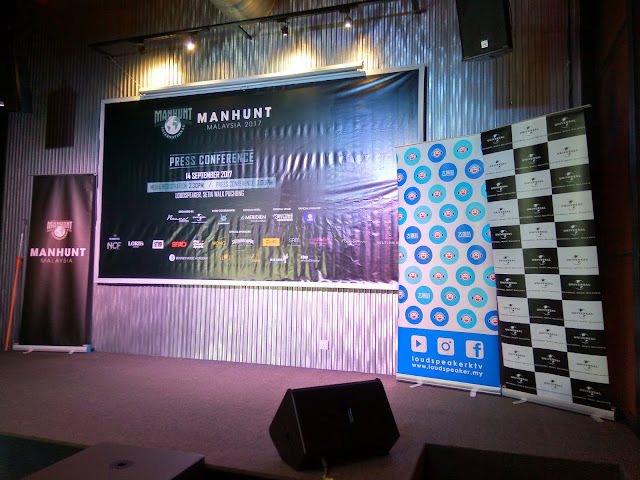 Have formed a first at its kind partnership to bring about Manhunt Malaysia 2017 as part of BEAM's focus to offer opportunities primarily in the entertainment and media industries for men . BEAM has made substantial investments in and has developed a valuable identity for , the unique symbols and element of Manhunt , that have achieved national and regional acknowledgement and approval . These elements include but are not limited to recognizing and honouring the traits of honestly , good character , talent , fitness , sportsmanship , grooming , intellect , leadership and good judgment and to serve as role models for other men with similar goals and personal characteristic . The Competition is designed to combine a respect for traditional and historic foundations of the program with recognition of prevalling modern tastes and calues . Hence , to foster similiar values and goals here in Malaysia , Universal Music Malaysia and BEAM are collaborating for the first time to organize Manhunt Malaysia 2017 .The winner of the competition shall be entitled to that title until his successor is named . Unless earlier terminated by BEAM and will be repredenting Malaysia in Manhunt International 2017 , which will take place in Thailand in November 2017 . The audition process took place on 26th August 2017 , where total of 18 outstanding candidates were shortlisted as finalist vying for the title . Those 18 men are now in the running to become BEAM and Universal's first ever Manhunt Malaysia 2017 champion and will undergo a 9 week programme until the winner is crowned . The programme includes workshop that encapsulate fitness workout session by vision Boy/Spinning class by Aloha Cycle Club/Cross fit training by District 13 , vocal lesson by Bentley Music Academy , skincare grooming workshop by SRM Skincare , modeling , self grooming & speech training by jimmy wong of wong Creatives and many more . The pre judjing session will be on 6th October 2017 where there will be a fashion shw featuring the finalists is sportwear and swimwear . The top 10 Finalists will also be selected during this process and will be revealed during the Grand Finale , which takes place on 18th October 2017 at the Le Meridien Kuala Lumpur . At the Grand Finale , the finalist will be put through intense competitions in 4 main rounds , the casual wear round , the swimwear dance , the formal wear round as well as the question and answer round . Throughout the Competition , the esteemed panel of judges will include Universal Music Malaysia Representatives , BEAM management as well as the one and only Ning Baizura . Official Sponsors : Martell , Rawsome , SRM Skincare .